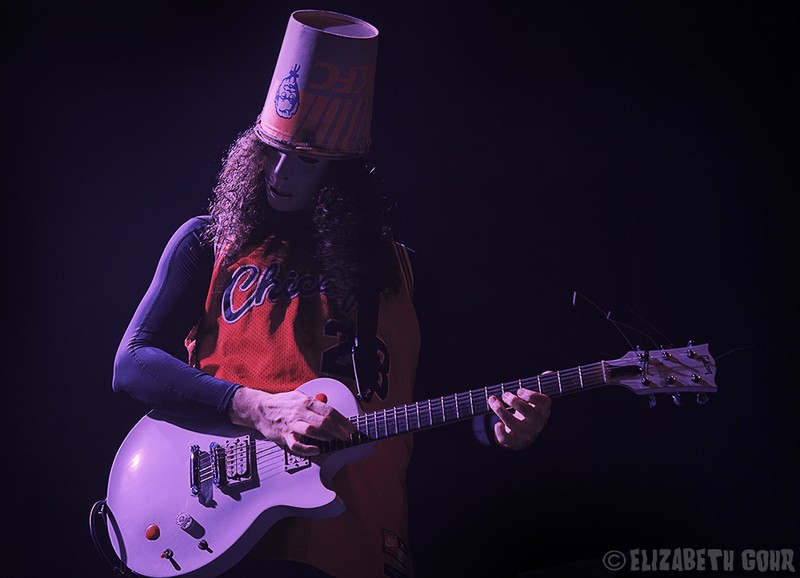 Brian Carroll, known by his stage persona as the mysterious Buckethead, came to the UC Theatre on Wednesday along with bassist Del Rey Brewer and drummer Bryan “Brain” Mantia. 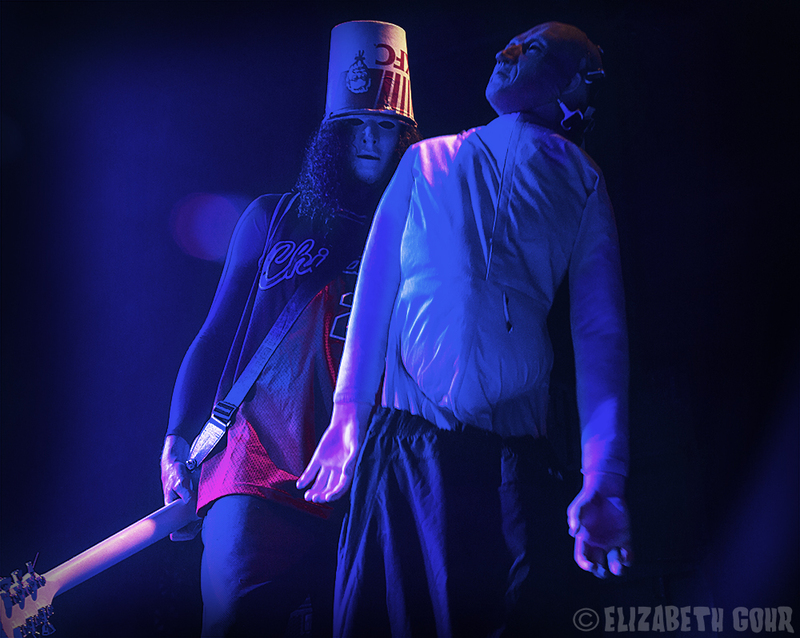 This marked the first time in some years that Buckethead toured with additional musicians and the packed house was treated to an impressive display of instrumental prowess from the trio, including many rare Buckethead songs that have not been played in many years. 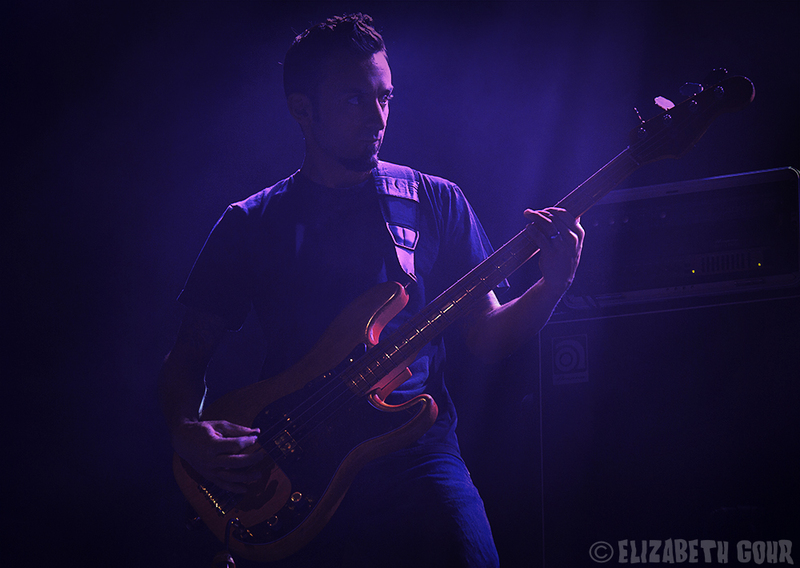 Brain and Brewer had previously played with Buckethead in the Praxis project, and some Praxis songs were played throughout the night, with plenty of over the top musical detours along the way. 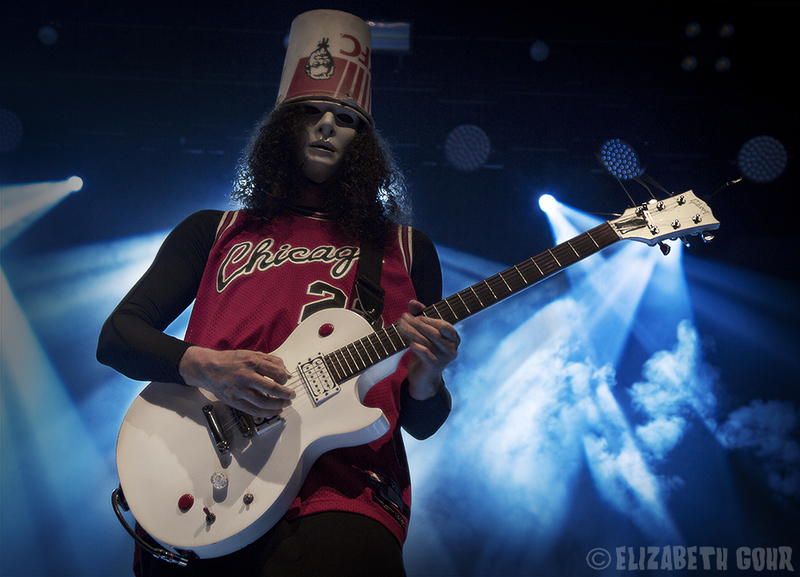 What makes Buckethead stand out beyond his eccentric appearance is his unbelievable virtuosity on the guitar. And the trio wasted no time in ripping into the first song of the night upon walking on stage: the blistering groove of “Jowls.” The song rides a percussive guitar riff while alternating between unaccompanied guitar heroics from Buckethead. While his appearance may seem strange to some (the whole KFC bucket and mask) his playing is seemingly beyond comprehension at times, veering into many different musical directions. Armed with an array of effects pedals and guitar augmentation, Buckethead can make the most random and non-musical sounds work in the context of a song. Brain and Brewer to their credit, had no trouble matching the intensity and wildness of Buckethead, hanging on to every change and seemingly random funk breakdown he threw into a song. A couple of songs into the set, Buckethead began playing a couple of Praxis tracks, such as the swinging funk of “Revenge of the Double-Man” and “Crash Victim.” While many would consider Buckethead a guitarist who can only play incredibly fast, his skills are so multifaceted that he had no trouble playing more soulful bluesy licks along with hyper-percussive funk blasts and sizzling metal. One of the most memorable moments came at the end of the band’s first set, with Buckethead dazzling the crowd with a rendition of the Praxis song “Animal Behavior.” The piece began with a bit of subtle, clean guitar, with Brain and Brewer laying down a subtle backbeat. Buckethead eventually turned up the distortion and turned on his wah-wah pedal, which gave his guitar an almost vocal-like quality. 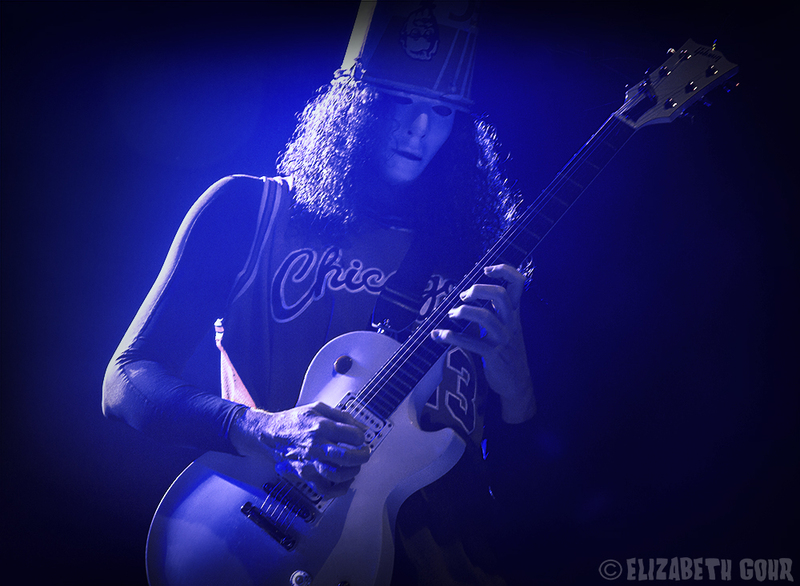 After a 15-minute break, the band returned to the stage to romp through some more classic material such as the anthemic rock of “The Sultan’s Massacre.” The piece revolved around a guitar figure drenched in delay and echo along with some stomping drum parts, with Brain and Buckethead engaging in a spirited call and response solo trade-off. Eventually, the song descended into yet another lively flurry of guitar solos from Buckethead, who mixed hyper-speed runs with more sustained, emotional playing. Finally, the trio closed out the night with a couple of funky jams that veered into many different musical directions, with odd cover songs being thrown in at seemingly random intervals. The most intriguing of these was a version of the Primus classic “My Name is Mud,” which saw Buckethead performing the song’s legendary slap bass intro on his guitar. 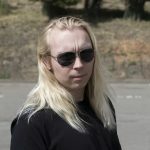 As is customary at a Buckethead show, the guitarist pulled out a giant sack of gifts, handing them out to the audience. The presents were seemingly random and looked to be various guitar accessories. 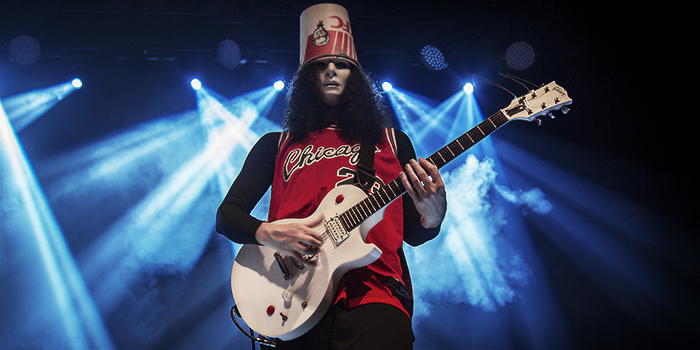 As has been the case throughout his prolific musical career, Buckethead is one of the most dazzling and exciting guitarists out there, and paired with a live band he becomes even higher and more daring in his musical approach. 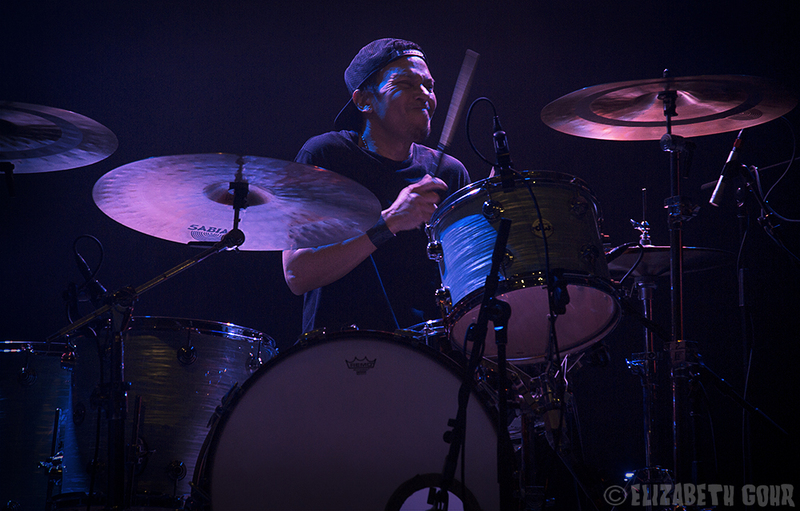 For more information about Buckethead, go here.